As-salamu alaykum and hello everyone ♡. I can really tell you that I am a homey person. I rarely want to go out unless I really want to go out have have some window shopping session or thing I need to settle. I love cooking, but there is a certain time I did have the time to cook because I just need to do mostly everything in one day. Mostly I will order a fast food delivery service but I do admit that I get bored sometimes. I want to eat a real meal! So where did I go for this? Featuring Food Panda. Malaysia first online shopping for FOOOOODD! 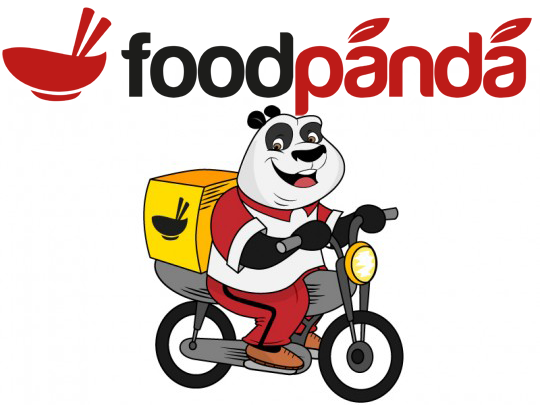 Food Panda is a well know site all over the world already. 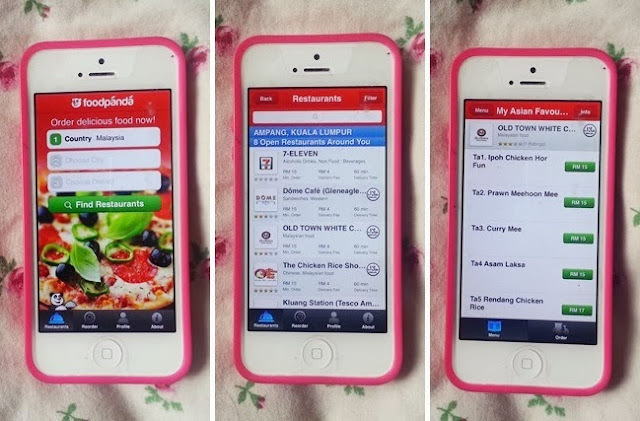 So basically Food Panda is an online site where you can find the nearest restaurant in your area and you can check the menu of the restaurant and order it through that site. It is easy, let me show you how it works! 1 - Go to http://www.foodpanda.my/ . And you can see a box, key in your area. 2 - Then you will see a list of restaurant near to your area. 3 - Choose which restaurant you prefer. I choose Old Town White Coffee. As you can see it opens at 11.00am, and it is still 10.30 am here when I started to order. Its ok, you can just proceed and look to the menu first. 4 - As mention above, it is currently closed. Just click the X button and scroll to the menu first. This consider to Pre Order, where your order will only proceed on 11.00 am onwards. 5 - Choose what you like and add in the cart. Then proceed with Checkout/Preorder. It is the same, it means "ORDER". 6 - Type in your address just like online shopping! 8 - So if you choose Paypal, it will directly open the Paypal account to proceed with the payment. So when the delivery man arrive, you don't need to pay for anything, because you already did that. 9 - In my case, I choose Cash On Delivery. So just proceed with the order button and you will see a confirmation info there as below. 10 - You can also see your order status in your account page. 11 - Also, you will be receiving a order confirmation email! You can also download Food Panda Apps in your phone. It is free. After 1 hour, my order safely arrived! Since I choose the payment method is COD, I just pay the delivery man right in-front of my door step. Everything is nicely package and in good condition. I love how Old Town pack the drinks in a different container than mix both ice and the drink in one cup. Now, bon appetie! *The amount spent in food panda and vouchers for giveaway was sponsored for this post. GIVEAWAY ALERT! Answer this question and 5 lucky winner will win a RM10 voucher to order through Food Panda! *Winners will be chosen using Random.org . Giveaway ends 1 week from now! What is your favorite restaurant to dine in! Wah, a very helpful post! Memang 24/7 kat rumah lepasni hahaha thanks sab! Answer : Secret Recipe! because they have variety of food from appetizer to deserts..especially their cheesecake, yummy! Answer : my favourite restaurant to dine in is The Chicken Rice Shop! i've known about Food Panda since I received a booklet of voucher upon signing up for BR Card. but i never get the opportunity to try them yet. My favorite restaurant to dine in is Sushi King!